The Knosti disco-anistat Mixture is a special self-acting liquid that removes dust, dirt and dried liquids groove-deep and without residue. But most of all, it is a joy to hear your old record collection sounding like new! Suitable for 33, 45 and 78 rpm records. Careful! 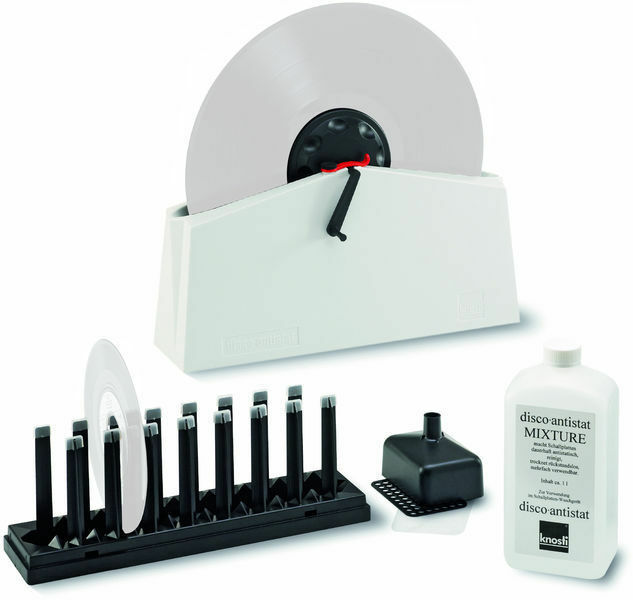 Never use Knosti Fluid fluid to clean 78 RPM shellac records. The Ethanol alcohol type used in our fluids can permanently damage or destroy shellac.